Many music teachers are slowly turning toward the Loog to teach kids how to play guitar – the instrument holds easy learning and kids at the heart of its design and we’re psyched that so many educators have caught on. David Mills is one of precursors of this movement. David is a high-profile music educator who decided to use singing, strumming and song writing as a vehicle for teaching music fundamentals to young children. He started out by using ukuleles with 3-strings tuned GBE like the highest 3-strings of the guitar. He later discovered Loog Guitars which, according to him, have much better spacing and string length than ukeleles. “The colored dots on the Loog Guitars have been extremely useful when creating neck diagrams for chords and scales,” he tells us. 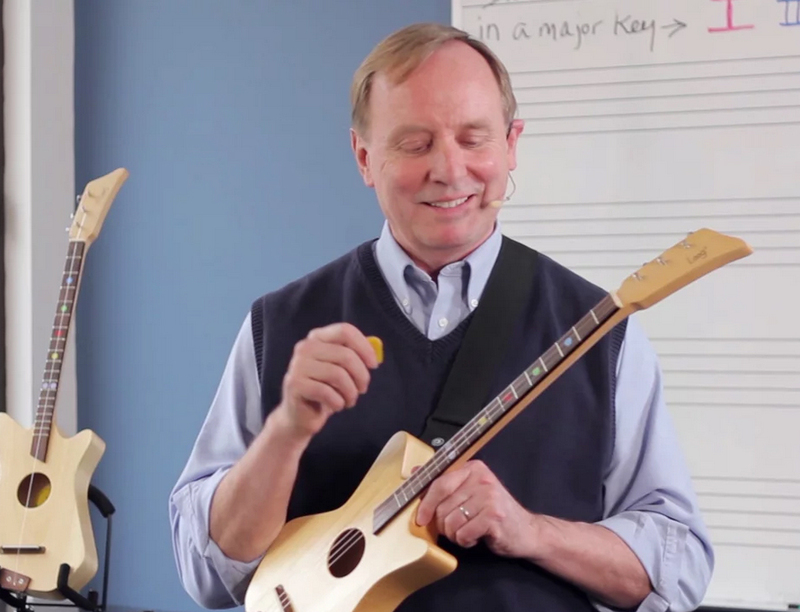 In the summer of 2015 the W.O.Smith Music School in Nashville asked David to incorporate the DoSo® Guitar into a week-long camp for students who had little or no experience playing a musical instrument. In just four days 36 children had lessons on guitar, piano, recorder and percussion. In many music programs, students often start out by playing “Hot Cross Buns.” In a DoSo® Guitar class they play “Low Rider,” a song that many children recognize as theme song from the George Lopez Show. At W.O.Smith, they found a way to combine the two.